Hi Cathy! Your new novel is the scrumptiously titled The Plumberry School of Comfort Food, can you tell me about the story? Cathy: "It’s the story of Verity Bloom who, after several years out of the kitchen, falls back in love with life through food. 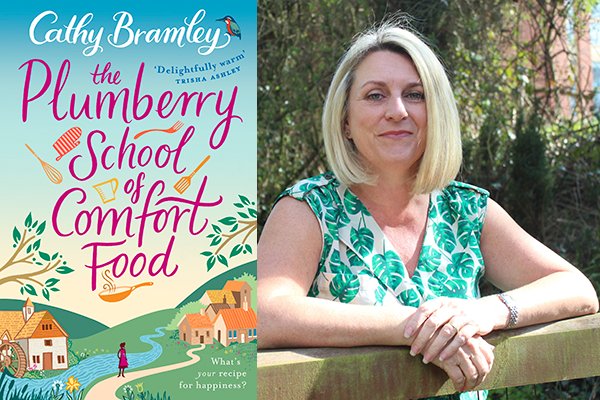 Verity is always there for everyone else in her life, but through being at the cookery school, she learns that it’s OK to put herself first and do what makes her happy once in a while." That sounds great, doesn't it? Do you want to discover more about the book and Cathy's publishing journey? You can find a sneak peek of the upcoming questions below in addition to the whole blog tour schedule so you can follow the interview from one stop to the next. After self-publishing your first novel, Conditional Love, you've had such incredible success. Besides, of course, getting your book deal, what has been the most exciting part of this journey so far? What are some of the biggest differences between self-publishing and traditional publishing that people who are undecided about which route to take might not know about yet? Which female authors inspire you and why? What is your favourite women's fiction novel of all time? Can you tell me about the first time you read it? In one sentence, why should readers pick up your new novel, The Plumberry School of Comfort Food? Finally, Cathy will answer some quick fire choices, such as: Reading or writing? eBook or Paperback? And Ivy Lane, Appleby Farm or Wickham Hall? 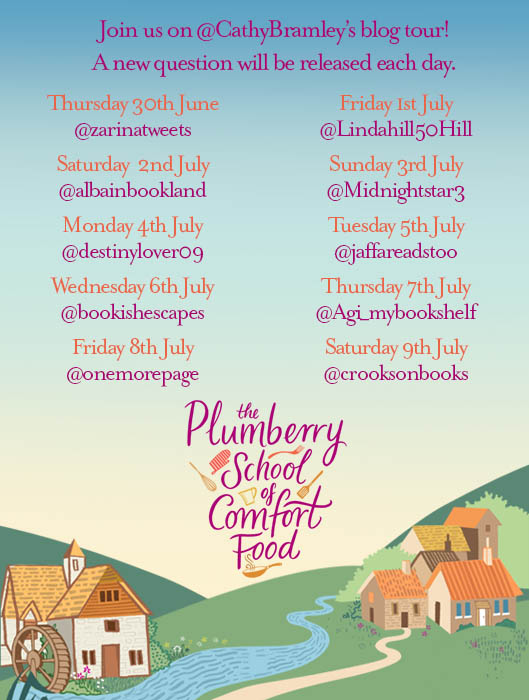 Make sure you follow the blog tour this week and next (full schedule below) to discover the answers to all of these questions – and more!